We offer value and exceptional service and have the best management tools to achieve this..
Tyler lives in Essex with her family and joined Blue Marine Travel in May 2017. Upon leaving school, Tyler attended Hull University where she studied business economics. Once leaving University she had a career change and worked as a travelling event groom, a job that she thoroughly enjoyed which involved working with many different people and locations. When she is not working she enjoys spending time with her friends and family, shopping for new clothes and going to new places. She also loves to spend time with horses, riding them and taking part in groom competitions. Tyler joined Blue Marine Travel as an Accounts Assistant and is enjoying learning about her new role and the travel industry. Air France launches Wi-Fi on board! Always attentive and always delivering beyond expectation. See what we are sharing. 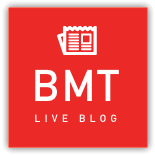 Click to view our live blogs section.